These days the power and performance of most cars is limited, not by any particular mechanical factor, but by the software running in the engine control unit (ECU). Computer algorithms running behind the scenes while you’re driving a modern car affect all sorts of parameters, such as ignition timing, air/fuel ratio and turbocharging boost pressure. New car engineers typically set these parameters at the factory to meet product marketing targets such as power level, fuel economy and emissions, and that means new cars are rarely fully optimised for ultimate performance. So if you want greater performance and pulling power from your car, or alternatively if you’re seeking mpg improvements, the first place to look is the little black box under the bonnet. Are there any downsides to getting your car ‘chipped’? 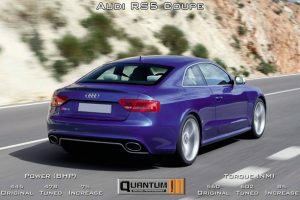 Some people are concerned that engine remapping could cause problems with their car. But it shouldn’t affect reliability if you use a reputable remapping device such as “Remapper”. Engines are built to offer more performance than they actually deliver. Manufacturers often launch a car with a set power figure, but then over the life of the model they’ll introduce a few facelifts and performance versions. Technically, they don’t develop new engines for each new version: mostly they limit the performance of the earlier models and then offer a little more power with each new edition. How much does car chipping and remapping cost? You can almost pay what you like for engine remapping. Getting your car chipped bya reputable dealer could cost as little as £400 but from there, the sky is the limit in terms of what you can spend on more advanced parts and services. The type of car you have will be a determining factor in the price you pay with simple chip tunning for diesel engine cars being the most affordable and specialist systems to extract more power from high performance models being the most expensive.